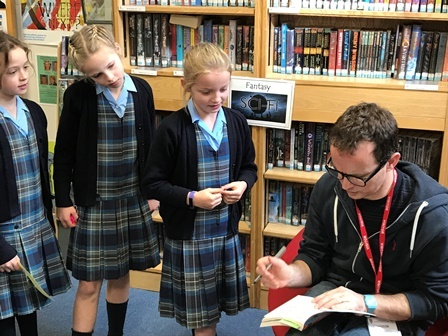 We were delighted to welcome Gareth P. Jones, our Patron of Reading, back to Cranleigh Prep today. 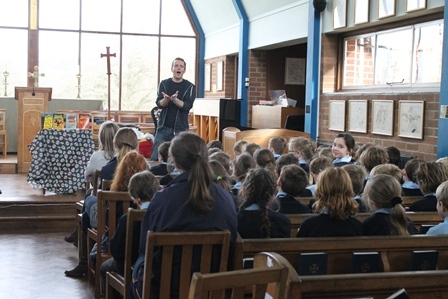 This is the second of three visits which he will make in the year, to inspire pupils’ reading and writing. 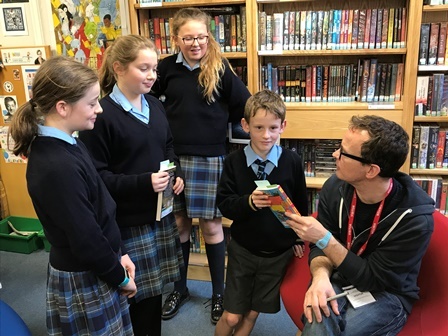 On this occasion, Forms 1 and 2 were able to hear about Gareth’s new book, The Daily Joker, and his Ninja Meerkat Series. 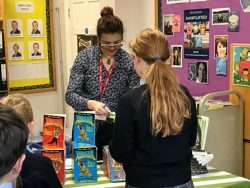 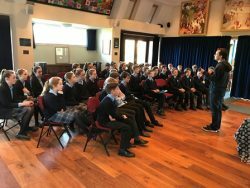 In the following session, with some Form 5 and 6 classes, he discussed his books that are more suited to an older audience, Death or Ice Cream and No True Echo. Finally, he ran a writing workshop for our Form 6 pupils currently preparing for scholarship examinations. 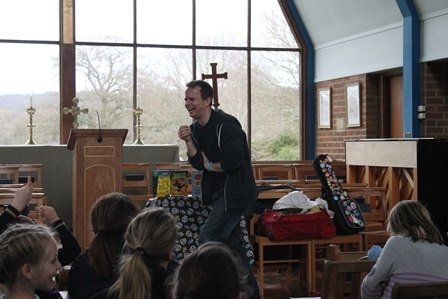 In typical Gareth style, we were also amused and entertained by his ukulele playing and his book-inspired songs. 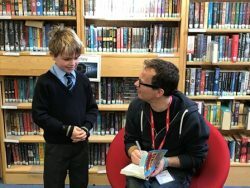 Gareth is an inspirational and honest author. The children were amazed by his stories but also reassured that even professional authors find writing difficult too. In several of the workshops he read a story he had written to the pupils and then encouraged them to develop their own endings. Gareth was very impressed by the quality and variety of the children’s work. 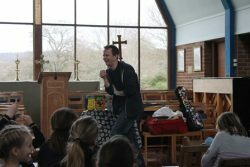 He said that we have particularly imaginative children at Cranleigh Prep!